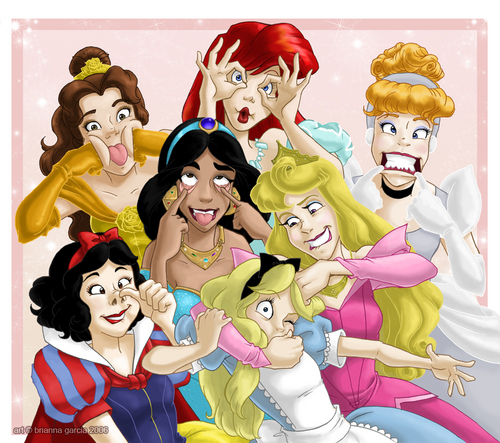 Smile For The Camera. . HD Wallpaper and background images in the Classic Disney club tagged: disney classic funny comical princesses smile. While this is AWESOME, I have to rate it lower because of the lack of an image credit. I love this! The less elagent princesses of Disney! This is cool! I love dis picture!